Not familiar with Fetch & Fix Auto Repair? What’s new at Fetch & Fix! Our goal is to provide an auto repair experience you won’t get anywhere else. The Technician servicing your vehicle is also the one you’ll speak to when calling Fetch & Fix. He makes out the estimate, orders the parts, and speaks to the customers concerning their repair needs. We listen to our customers and update our services to provide needed assistance or services. After a customer asked me about synthetic oils I researched them to learn the pros and cons. I found one oil was always at the top when it came to tests and actual street use. That is why we are Amsoil distributors, and we use Amsoil in all our vehicles. 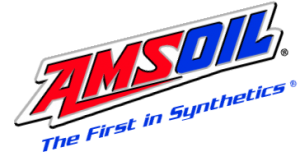 We have been selling Amsoil over a decade now. Check out our oil website with the link at the lower right. We will help you find the right fluids to get the most from your driving habits and provide the best protection to your investments engine and drivetrain. As always if you have any questions, call or email me. in the auto repair business! Click here to find out how to save money with Amsoil! I live in Northern Sullivan County. I drive down to have Jeff work on my pickup truck. At 62, I have used many mechanics. His Knowledge, Workmanship and Honesty is second to none. Nobody works on my truck but Jeff! We use Fetch & Fix because we like you guys. The service is great. You could improve your service by returning the vehicle with a full tank of gas and give out organic snacks. As a customer, I greatly appreciate the depth and breadth of Jeff's technical knowledge. His expertise, commitment to providing superior customer service at reasonable repair prices and an innovative pick up and delivery approach set "Fetch and Fix" far apart from traditional auto dealer service departments and independent repair shops. I decided to use Fetch & Fix for convenience and they were recommended by friends. Jeff was very accommodating, patient, true to his word and kept me informed before making a decision. I would recommend Fetch & Fix to others. © 2007-2019 Copyright Fetch and Fix Auto Repair.